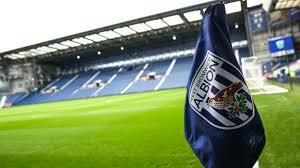 April 3 – West Bromwich Albion, the Chinese-controlled Midlands-based football club currently battling to make a swift return to the Premier League, has reported a £7.4 million loss for its relegation season. The loss compares with a strong £39.8 million pre-tax profit the previous year, with the £47 million-plus difference explained by a combination of falling turnover and rising costs. While the club managed to generate increases in both gate receipts and other commercial income for the year to end-June 2018, much its largest turnover segment – media related activities – declined from £118.7 million to £102 million. At the same time, staff costs jumped from £79 million to £92.2 million. And with £41.7 million spent on new players, amortisation also climbed to £25.4 million. Amounts owed to group undertakings by the corporate entity West Bromwich Albion Football Club Limited remained at £23.7 million. The ultimate parent company is Yunyi Guokai (Shanghai) Sports Development Limited. The accounts stated that directors had prepared profit and cash flow forecasts that showed that the group “would require an overdraft facility or other funding arrangements for at least part of the period January to July 2019”. The directors have also received confirmation from the group undertaking concerned that it will not “seek repayment of the amount due to them within 12 months of the date of approval of the financial statements, unless sufficient funds are available to do so”. The club currently lies fourth in the second-tier Championship with seven games remaining, having recently parted company with head coach Darren Moore.